All of our groups are run by a dedicated and passionate team of leaders who have a real desire to help young people learn the meaning of life and to equip them with the necessary skills and qualities needed to tackle the many challenges that they will face as they grow up. 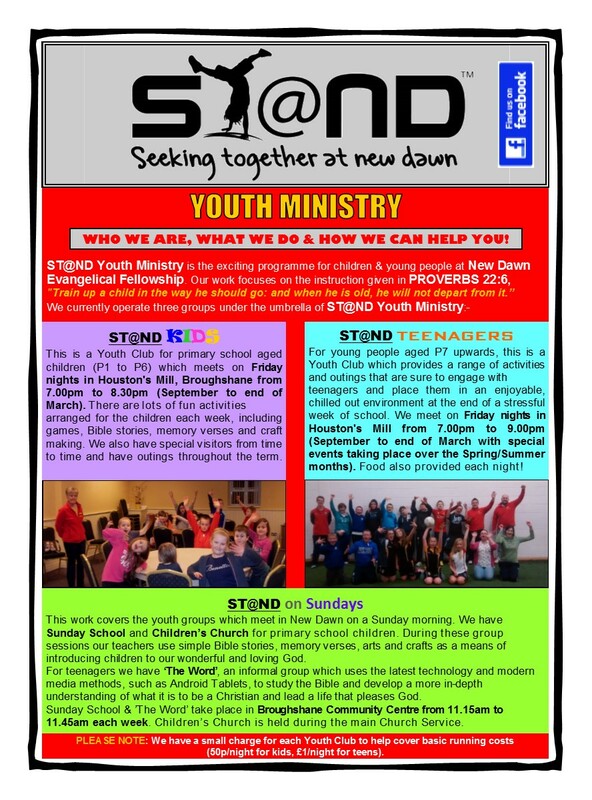 ST@ND is an abbreviation of SEEKING together at New Dawn. Facebook Group and send us a message.